We will help you navigate the insurance and billing process, and answer any questions you may have about how to discuss the evaluation and treatment plan with your child. Advanced Therapy Clinic is always available to answer any questions you may have regarding your childs plan of care. Don’t hesitate to contact us before or during his ongoing treatment. Upon arrival at the clinic for your first appointment you will be asked to fill out some information regarding your childs medical history and background. 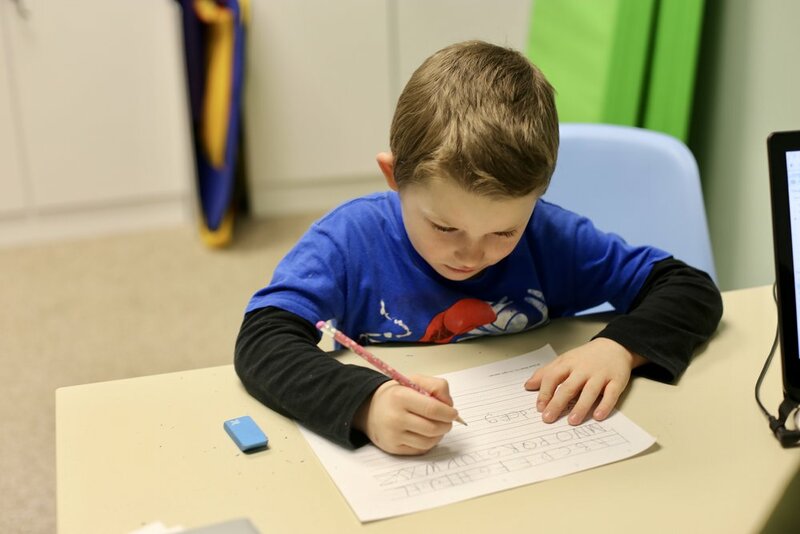 In an effort to save time, we recommend you fill out the paperwork prior to arrival if possible.Each clinic is a colorful, happy place full of therapists eager to help children reach their highest potential. Every child is special and receives personalized attention. The initial appointment will begin with a brief consultation with the treating therapist, which provides you an opportunity to express concerns and ask questions. Following this meeting, the therapist will begin the evaluation process, which includes standardized assessments and clinical observations of your child. After all of the information needed to develop a treatment plan for your child is collected, your child’s therapist will make recommendations and begin treatment right away. For ongoing treatment, regular attendance and communication between Advanced Therapy Clinic and parents will produce the best results! Please call us anytime at 406-690-6996 to discuss your child, ask any questions or begin the therapy process.